Thomism in the 21st Century: Q&A with Father Romanus Cessario, O.P. 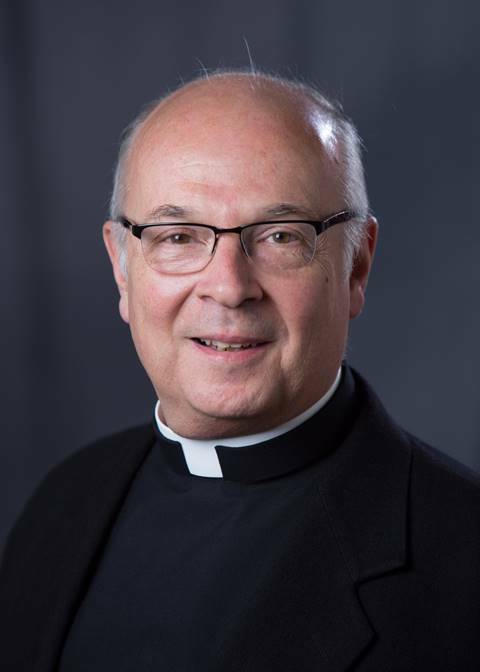 Father Romanus Cessario, O.P., is a Dominican priest who serves as professor of theology at Saint John’s Seminary in Brighton, Massachusetts, and as a fellow of the Pontifical Academy of Saint Thomas Aquinas. He holds an S.T.D. from the Université de Fribourg (1980) as well as an S.T.L. (1972) and S.T.B. (1970) from the Dominican House of Studies in Washington, D.C. He previously earned a B.A. (1967) and M.A. (1969) from Saint Stephen’s College. A specialist in Thomist theology, Father Cessario is an author or editor of dozens of scholarly articles and books. His most recent book, “Theology and Sanctity” (Sapientia Press), was published in October 2014. A collection of integrated essays, it attempts to present the teaching of St. Thomas Aquinas on the relationship of theology and sanctity in a way relevant to the 21st century concerns. On Feb. 10, I interviewed Father Cessario by email about his work and the future of Thomism in the 21st century. In your view, what is the current status of Thomism in Catholic theology and how has it changed in recent centuries? The best indication of the status of Thomism today may be found by looking at the Index of Citations in the Catechism of the Catholic Church. After Saint Augustine, Aquinas is the most frequently cited ecclesiastical writer. One may also point to the use made of Aquinas in the Magisterium of Saint John Paul II. Fides et Ratio (nos. 43-45) explicitly recommends Aquinas’s way of doing theology. For the modern papacy, Aquinas remains “an apostle of the truth.” Popes Benedict XVI and Francis both have confirmed the special place that Aquinas holds in Catholic theology. For more information on the current status of Thomism, one may usefully consult the Fall 2014 issue of Nova et Vetera. In my A Short History of Thomism (Washington, 2005), I advance the thesis that continuity marks the history of Thomism. One can identify themes both theological and philosophical that have united Thomists over the past 750 years or so. The most recent renewal of Thomism usually is signaled by the publication of Pope Leo XIII’s 1879 Encyclical, Aeterni Patris. The Catholic world thrived for nearly a century under the impulse of this papal endorsement that urged the study of Aquinas. After 1879, almost everyone was a Thomist! A good account of this period written by various figures of twentieth-century Thomism may be found in Victor B. Brezik, C.S.B., ed., One Hundred Years of Thomism (Houston, 1981). For his part, Gerald A. McCool, S.J., wrote a two-volume account of Leonine Thomism; see his Nineteenth-Century Scholasticism and From Unity to Pluralism (New York, 1989). By and large, one may safely observe that, after the French Revolution, political uncertainties in Europe interrupted the very robust Thomist tradition of commentators that begins with John Capreolus (d. 1444) and ends with Charles René Billuart (d. 1757)—to cite representative figures. Leonard A. Kennedy, C.S.B., A Catalogue of Thomists, 1270-1900 (Houston, 1987) provides an impressive list of those authors—including, after the sixteenth-century, many Jesuits—who populated this Commentatorial Tradition. In what sense do you identify yourself as a Thomist or Neo-Scholastic theologian? When I asked my Doktorvater, Coleman O’Neill, O.P., that question, he replied, “Well, I’d say that I am just a Thomist.” That was about 1976. Father O’Neill went on to say that a Thomist is one who reads Aquinas. Neo-Scholasticism coincides with the period of Leonine Thomism. The “neo” distinguishes the period of 1879-c. 1965 from the centuries-long practice of Scholasticism that effectively came to an end with the French Revolution. Scholasticism, in short, refers to the achievement of the medieval schoolmen. By the time of the sixteenth century, the term had come in many quarters to carry a note of opprobrium. The modern period introduced, as is well known, other methods for giving instruction in theology. Before Scholasticism, one finds the patristic authors. Debate continues as to where one period ends and the other begins. Some favor Boethius (d. 524), whereas others consider Saint Anselm (d. 1109) as the first Schoolman. In any event, I think of myself as a plain old Thomist. The editors of a festschrift offered to me on my sixty-fifth birthday used the title, Ressourcement Thomism: Sacred Doctrine, the Sacraments, and the Moral Life (Washington, 2010). I consider myself a “Ressourcement” Thomist insofar as I privilege the Thomist Commentatorial Tradition that has kept Thomism alive since the fifteenth century. Your most recent book discusses the Thomist teaching that theology and sanctity have a common origin and goal. How is this topic relevant to 21st century Catholics? Twenty-first century Catholics still seek to follow the advice of Saint Ignatius: “Man is created to praise, reverence, and serve God our Lord, and by this means to save his soul.” This foundational principle for Catholic living applies to Catholics of every age. The question arises: how will the study of theology help men and women of our period to observe the Ignatian principle and foundation of the spiritual life? If theological studies do not sustain the Catholic’s quest for holiness of life, then theology becomes an academic discipline that does not require self-commitment. Theology is the science of God’s truth; salvation is the gift of God’s goodness. Both originate in God. Theology is also a science of faith, a “word” about God (as the term suggests); salvation, as Saint Paul says, comes by faith (see Gal 2:20). Both aim at the same goal. Saint Ignatius got it right. Truth transforms the one who embraces it. What does St. Thomas Aquinas have to say to ordinary people today? A lot! However, as an author of another period, Aquinas needs a cicerone, at least for the non-expert. Fortunately, Peter Kreeft has recently published a handbook of what Aquinas has to say for ordinary people, Practical Theology (San Francisco, 2014). One could read Aquinas as a commentary on Saint Ignatius’s principle and foundation of a Christian life. The Summa theologiae persuades people to practice reverence for God and to seek the salvation of souls. Aquinas of course was a Dominican, and he coined our motto, “to contemplate and to give to others the fruits of one’s contemplation.” Contemplata aliis tradere (see Summa Theologiae, IIa-IIae, q. 188, a. 6). In today’s postmodern context, where a plurality of theological models now prevails, Thomism sometimes appears to have lost its pride of place. Is Neo-Scholasticism dead? For Catholic philosophers and theologians studying St. Thomas today, what are the extremes to avoid in claiming the mantle of Thomism? One extreme would be superficiality. To reach up to the mind of Aquinas, as Father Lonergan used to say, requires that one commit to a long period of focused and assiduous study. One cannot learn only the conclusions of Aquinas. The other extreme would be what I call “spiffiness.” Spiffy Thomists assume that Aquinas can only survive when he is put into dialogue with contemporary thought-forms. Aquinas, it is true, was not hesitant to engage other points of view; he took argument seriously. However, he engaged in this dialectic within a pre-modern culture where the Catholic faith, at least for theology, set the parameters for his discussion. Today’s spiffy Thomists enjoy no such context with the result that, by over-engaging, they run the risk of relativizing the importance of Aquinas’s contribution for contemporary theology. The safeguard against both extremes is devotion. To approach Aquinas, one must first revere him. The testimony of the Magisterium supplies antecedent warrant for our giving Aquinas this reverence. Admittedly, one may cite well-known instances where, in his Summa, Aquinas held a view, e.g., Our Lady’s Immaculate Conception, which is not sustainable today. Reverence will ensure that the student of Aquinas seeks to understand why Saint Thomas argued in the way that he did. When he or she does, the reverent student will still learn something from the Common Doctor. As a theologian, who are your role models either living or dead? Well, obviously I place Aquinas at the head of the list. After him, I would like to emulate the boldness of his first commentator, John Capreolus (d. 1444), who stood up to the massive Nominalist Establishment of the fourteenth century. I take inspiration from the clarity and precision of Cardinal Cajetan (d. 1534), a Thomist who has been unfairly criticized by many contemporary theologians who have not always grasped the subtlety of his thought. I pay close attention to Dominic Bañez (d. 1604), the great herald of Aquinas’s teaching on the absolute priority of the divine initiative in human affairs. I admire John (Poinsot) of Saint-Thomas (d. 1644) who developed Aquinas’s teaching on the gifts of the Holy Spirit—a text favored by the Maritains. I revere Jean Baptiste Gonet (d. 1681), the valiant defender of Aquinas against the unwarranted charges of his supplying an amicus curiae brief for Jansenism. Gonet’s Clypeus theologiae thomisticae contra novos ejus impugnatores (16 vols., Bordeaux, 1659-69) remains a monument of seventeenth-century Thomism and illustrates the author’s willingness to meet opponents irenically, even on the then hotly debated (between Jesuits and Dominicans) questions dealing with divine grace and human freedom. I would like to emulate Charles-René Billuart (d. 1757), a prayerful Dominican, who kept Aquinas alive during the period of Louis XV and in the face of Enlightenment pretenses. I salute the Jesuit, Matteo Liberatore (d. 1892), the founder of the Civiltà Cattolica, one of whose original purposes was to make known the doctrine of Thomas Aquinas! I keep close at hand the works of Father Reginald Garrigou-Lagrange, O.P. (d. 1967), whose volumes continue to assist present-day students of Aquinas. I also think of those who introduced me to Aquinas, especially Father Dominic Rover, O.P., who taught rhetoric and ethics at our philosophy house, Saint Stephen’s College. How has your study of St. Thomas influenced your faith over the years? I remember as a seminarian reading Aquinas on the Trinity. It was the late 1960s in Washington, D.C. The Summa text deeply moved me. From that moment on, I realized that faith and theology, as I have said above, go together. More precisely, I discovered that contemplation and theology both spring from the same pondering that faith generates. Now, more than four decades later, I still find Aquinas a source of inspiration and elevation. It grieves me when people dismiss Aquinas as outdated or consider his teachings as without practical significance. Aquinas is very practical, as I have tried to show, for example, in my “The Trinitarian Imprint on the Moral Life” published in The Oxford Handbook of the Trinity (Oxford, 2011). As a Dominican theologian, how do you pray? I follow the same rhythm of life that Aquinas followed. In a word, it’s the monastic rhythm taken up into the conventual life of a Dominican priory. In the book that Father Cajetan Cuddy, O.P., edited, Theology and Sanctity, Chapter One explains the “spirituality” of the Dominicans. Although I reside in an archdiocesan seminary, I try to observe the Dominican rhythms. What is the goal of your theology? Oh, that’s easy. I want to enter more fully into the life and contemplation of the divine mysteries and to draw people close to God. Like Saint Ignatius, I want people “to praise, reverence, and serve God,” so that they will become saints. Beginning with Joseph Marechal, and continuing through his fellow Jesuits Karl Rahner and Bernard Lonergan, Transcendental Thomism helped opened the door to a broadening of theological categories in the 20th century. Does your brand of neo-Thomism represent an attempt to backtrack from this post-conciliar development? Like Neo-Scholastic, Neo-Thomist usually refers to the period of Leonine Thomism. One wag has coined the term “Neo-Neo-Thomist” (Modern Theology 26:1 January 2010) to describe me and my colleagues. However, we must politely refuse the appellation. When I came to Boston, I met many devout followers of Father Lonergan. Several, such as Father Matthew Lamb and Ambassador Mary Ann Glendon, remain among my closest acquaintances. One can only appreciate what Lonergan and his students have accomplished. My Lonerganian friends, if memory serves, prefer not to speak about their mentor as a “Transcendental Thomist.” In any case, I do not want to backtrack from anything that serves the good of the Church. That said, what is sometimes called River Forest Thomism, from the suburb of Chicago where the Dominicans once ran a philosophy house, does advance an alternative approach to metaphysics from what transcendental philosophy proposes. The best representative of River Forest Thomism is the late Father Benedict Ashley, O.P. His The Way toward Wisdom: An Interdisciplinary and Intercultural Introduction to Metaphysics (South Bend, 2006) explains how this alternative approach works. I think Father Ashley is right when he insists that natural philosophy must prove that immaterial being exists before one does metaphysics. Some theologians, seeking to move the Catholic Church forward more quickly, have experienced tension with the magisterium since Vatican II. As a Thomist, in what sense do you believe Catholic theology needs to adapt itself to contemporary times? I think theology can only be contemporary. Veritas Eternaliter Juvenis—the truth is eternally young. Like a good Thomist, I will distinguish. Catholic theology in order to survive has to adapt to the period in which it serves Catholic and divine truth. The history of Thomism, in my view, demonstrates this adaptability. If contemporary Thomists spent all their time examining what Capreolus said in the fifteenth century, no one, except those committed to historical studies, would pay attention to such soi-disant “Thomists.” I consider it a strength of Thomism that it displays the capacity to speak to each of the centuries that follows the death of Aquinas in 1274. The fact that you have asked for this interview, in a way, supports my contention. America would not want to waste its pages on the obscure and archaic. At the same time, it would be odd were one to assert flat out that Catholic theology should “adapt itself to contemporary times.” Such a project would canonize relativism. What I am saying applies, it seems to me, also to The Spiritual Exercises of Saint Ignatius. I have seen books that explain and, in a certain sense, adapt the Exercises for contemporary times. However no one would dare to alter radically the Exercises, even though few of our contemporaries accept Saint Ignatius’s principal and foundation for human existence. Likewise, I don’t see much about saving one’s soul in contemporary culture. And of course, Saint Ignatius urges us to think with the Church. The question should not be posed in terms of adaptation but in terms of mediation. How can theology today best mediate divine and Catholic truth? In this sense, my Thomism is very Ignatian and contemporary. How do you navigate any tensions between your theology and colleagues or superiors? Well, I am happy to report that I have not suffered many tensions with my superiors. The Dominicans recently conferred on me an honorary academic distinction that recognizes the usefulness of my work. The Archbishops of Boston, where I teach, have demonstrated their satisfaction with my work at Saint John’s Seminary. Obviously, there are Dominicans who do not agree with everything I write. The Dominicans, it has been said, are a group of men divided by a common ideal. However, for the most part, my Dominican colleagues acknowledge what I have tried to accomplish. Colleagues in the theological world, as you have suggested, hold diverse views on just about everything. Still, I have maintained my membership in the Catholic Theological Society of America since the 1980s, although other obligations recently have kept me from attending the annual convention. I also actively participate in the Academy of Catholic Theology. Again, I find these colleagues overall respectful of Thomism, though my views give even certain ACT members moment for pause. I also attend the annual meeting of the Society of Christian Ethics and I participate in the proceedings. This ecumenical association exhibits a diversity of outlooks, and I learn a lot from listening to the various discussions among Catholics and other professional ethicists. It goes without saying that colleagues have rendered some critical reviews of my book publications. However, I consider this exchange useful for the clarification of thought, as Dorothy Day used to say. Of course, I also have rendered critical observations about other theologians. It is pleasant to recall those scholars of high personal quality who do not let differences of opinion provoke incivility. For example, I maintain a warm acquaintance with Father Charles Curran. Younger colleagues sometimes are surprised to discover this affability between two Catholic priests who exhibit different outlooks in moral theology. Matthew 11:28: “Come to me, all who labor and are heavy laden, and I will give you rest.” The text summarizes the message of Paray-le-Monial, the small Burgundian town from where Saint Claude de la Colombière spread devotion to the Heart of Christ. I think that the message of the Sacred Heart meets the urgent needs of the New Evangelization. One of my students, Father Will Prospero, S.J., whom God called home early in his priesthood, devoted considerable energy to re-tooling this traditional devotion to meet the needs of his generation. I also like this New Testament text because it summarizes a basic doctrine of Thomist theology. When Jesus invites us to come to him, he already draws us toward his Heart. So we are not left with the burden of making our own response to his invitation as though this response occurred outside his love already strongly and sweetly drawing us to himself. I think that the Thomist view of pre-motion corresponds to the overall spirit of Paray-le-Monial: "Behold this Heart which has so loved men!" At my age, the beatific vision: “Into your presence lead me.” At the same time, one cannot but take encouragement from the renewal of interest in Aquinas among young scholars. Reginald Lynch, O.P., and Cajetan Cuddy, O.P., are good examples of this renewal among clerics. Matthew Levering stands out among the many young lay theologians who take their cue from Aquinas. Then there are scholars closer to my generation, such as Steven A. Long and Reinhard Hütter, who work within the Thomist tradition. So, in my view, God has provided well for the accomplishment of sound theology in the Church. I express my gratitude to America and to my interviewer, a young Jesuit, for this opportunity to explain why I believe that Aquinas merits the title Common Doctor, still. Final thought? Lege Thomam. Read Aquinas.